Located on the far north west side of Chicago, Albany Park is area 14 of the 77 officially designated Chicago communities. It is located halfway between the Loop and O’Hare Airport. To the north, Albany Park borders the community of North Park, to the south, the community of Irving Park, Lincoln Square to the east and Forest Glen to the west. 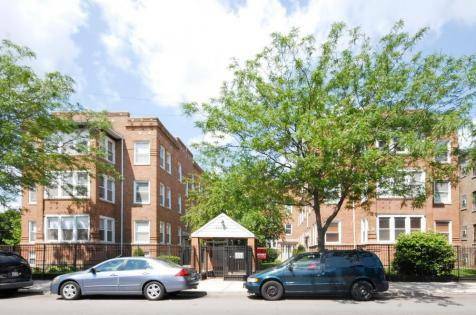 Albany Park is a well balanced community with both residential and commercial areas. It is truly a melting pot as it has the highest percentage of foreign born residents, it has been named Chicago’s “Most Ethnically Diverse Area”. Hispanics are the majority, followed by Asians, however there are over forty different languages spoken in the Chicago Public School system. Since the 1980’s, this neighborhood has been referred to as “Koreatown”. This name is due to 45% of the businesses between Polaski and Kedzie on Lawrence Avenue are owned by Korean-Americans. This section of Lawrence Avenue was officially nicknamed by the City of Chicago, as “Seoul Drive”. Albany Park boast attractive urban neighborhoods for residential and commercial development. The residential areas consist mostly of affordable bungalows, cottages and small apartment buildings. Albany Park is the home to the North Terminal for the CTA‘s Brown line also known as the Ravenswood “L”. This terminal is located at Lawrence Avenue and Kimball Avenue. Albany Park is also accessible the Kimball, Kedzie and Francisco Stations or via the Eden Expressway or Interstate 94. Albany Park is home to Northeastern Illinois University as well as various public and private schools. This culturally oriented area offers entertainment, restaurants and shopping as diverse as its residence. There is definitely something for everyone including small shops and markets. The area is home each year to the Korean Festival. There are also many scenic spots and parks to provide rest and recreation for the whole family.